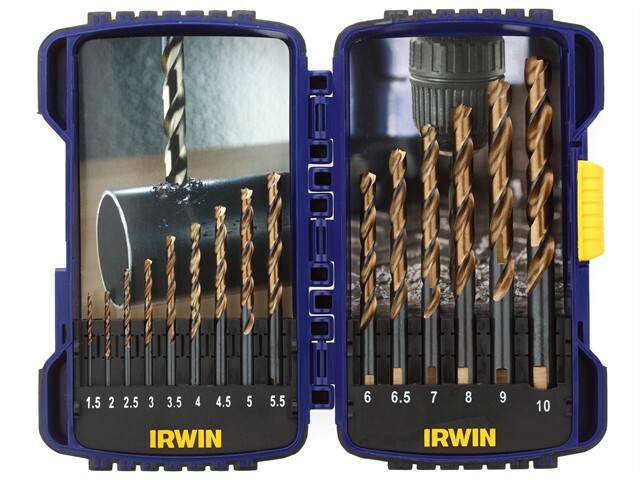 Irwin 15 Piece Metric Turbo Max Drill Bit Set with Jet Point tips. These drill bits are designed for high performance drilling on sheet metal, but also perform well in all types of wood and plastic. Sizes: 1.5, 2, 2.5, 3, 3.5, 4, 4.5, 5, 5.5, 6, 6.5, 7, 8, 9 and 10mm.